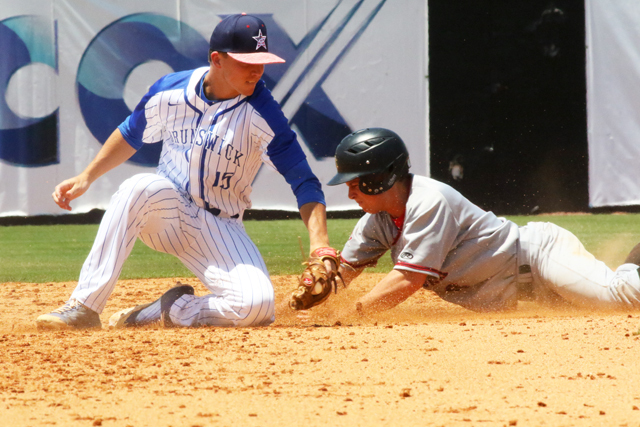 Brunswick's Harrison Trawick, playing for the Southeast Georgia All-Stars, tags Allatoona's Blake Evans. Rosters for the annual Georgia Dugout Club Senior All-State Games. The games were played on June 1-2, 2018 at Mercer University's Claude Smith Field at OrthoGeorgia Park.